we’ve visited our first two* 2018 photography exhibitions this weekend and the second one really excelled: ‘blick verschiebung’ (‘shifting perspectives’) in schloss biesdorf in berlin marzahn. its central topics are the tectonic shifts that happened on all human levels in eastern germany shortly before but mainly after the fall of the wall. featured are the works of 22 photographers among them some very well known photographers like Arno Fischer, Thomas Zielony or the always wonderful Ulrich Wüst. my personal favourites have been the series by Seiichi Furuya, Ludwig Rauch and Ingeborg Ullrich, though. new names to me, nice! the exhibition is still running until april 8th and it is absolutely recommended not only because of the really really good photography but also for the nice surroundings of schloss biesdorf which also sports a very nice cafeteria. la biennale (arte) di venezia is one of the world’s largest exhibitions of contemporary art. and if this wasn’t already a good enough reason to go there it takes place in the great city of venice. after visiting documenta 14 this year in kassel we went further down to italy and had a great stay in the venetian lagoon. and of course we went off to see the biennale. the biennale is all over the place in venice! the city is full with public art in public places (the so-called collaterals). the two main sites of the biennale are the giardini (the gardens) and the arsenale (the former giant shipyard of venice erected in the 14th century), though and you have to pay for entry there. the following pictures are mostly from these two main sites and offer a small glimpse into the spectacular stuff that is shown there. and maybe they can even convey a little bit of the fantastic atmosphere. the biennale is ongoing until the 26th of november 2017, so there’s still almost a month to go. well, i’m taking part in another group exhibition that kicks off next saturday! the fine young men with whom i have the honour of working are Ezequiel Hyon who shows some of his works with the cyanotype process and Nikolas Iturralde Graber showing pieces in abstract calligraphy on different surfaces. i of course will stay true to photography and will show some of my pictures from my loose series about the ostkreuz area in berlin friedrichshain. the whole thing takes place in the bildersaal of the zukunft am ostkreuz, laskerstrasse 5 in berlin friedrichshain and the opening date of the exhibition not coincidentally coincides with the extraordinary sonne über berlin festival but is actually part of it! a big thank you goes out to the organisers of this fine marvel of a festival for letting us be a part of it. the exhibition will be running until 8th of october and as far as i know it will be usually open during the opening times of the zukunft am ostkreuz itself. so drop by, grab a tea and check it out! double yay! my picture ‘wiwiwinterland’ was chosen to be part of the anniversary exhibition “ein tag in berlin – 30 jahre danach” in the venerable fotogalerie friedrichshain! i feel very (very!) honoured to be part of this exibition with all these great photographers and i am really looking forward to it. the vernissage will take place on thursday, 3rd of august, 19:00 h at helsingforser platz 1 in berlin friedrichshain. kitty solaris will even play some songs. a selection of five pictures from my container love series is shown as of today in berlin mitte! right in the middle of berlin at the schmuckgalerie boris kohlbecher, linienstrasse 215, quite close to gormannstrasse. …it happened – the vernissage is over. ‘container love‘ is open – until 23rd of february 2017 you can visit the freiluftgalerie 24/7 and have a look at the exhibition comprising eleven of my photographs. it has been a fantastic afternoon yesterday with almost 80 people coming by. everything was perfectly organised by Holger and his family – a big thank you to you guys, that was really great! another big thank you goes to my sister Tina for the pictures shown here. yesterday was one of the rare occasions where i haven’t been using the camera myself. Holger has also put up some more pictures from the vernissage over at facebook. 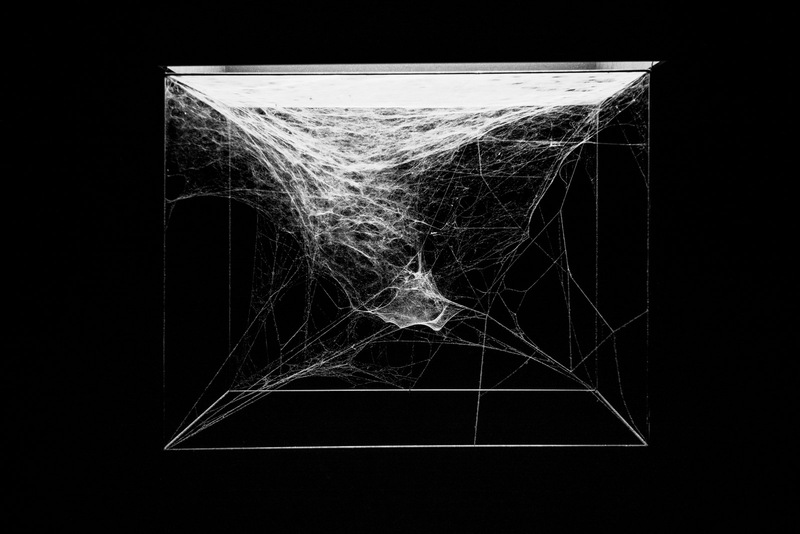 from the tomás saraceno exhibition in the k21 ständehaus in düsseldorf. these spiderwebs are actually not the main attraction but a giant steel wire net in three levels about 25 meters above the ground that you can climb into if you don’t have a problem with getting a bit of vertigo… i found it to be a lot of fun. today was the last day of the documenta 13. documenta is the largest exhibition of contemporary art of the world taking place every five years in the city of kassel. and it is literally taking place all over kassel which is kind of fun. of course there are museums participating but there is a huge park in the center of kassel (karlsaue) that is packed with interesting stuff and empty or abandoned buildings that serve as a gallery or are just in itself a big project (hugenottenhaus). i won’t comment on the single pictures but just leave you with these rather impressionistic views.